The recipes that seem to be most popular on my site are family slow cooker meals. 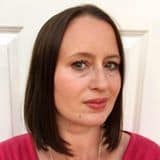 So I am going to be getting back to basics and sharing some simple family slow cooker recipes with you this year. 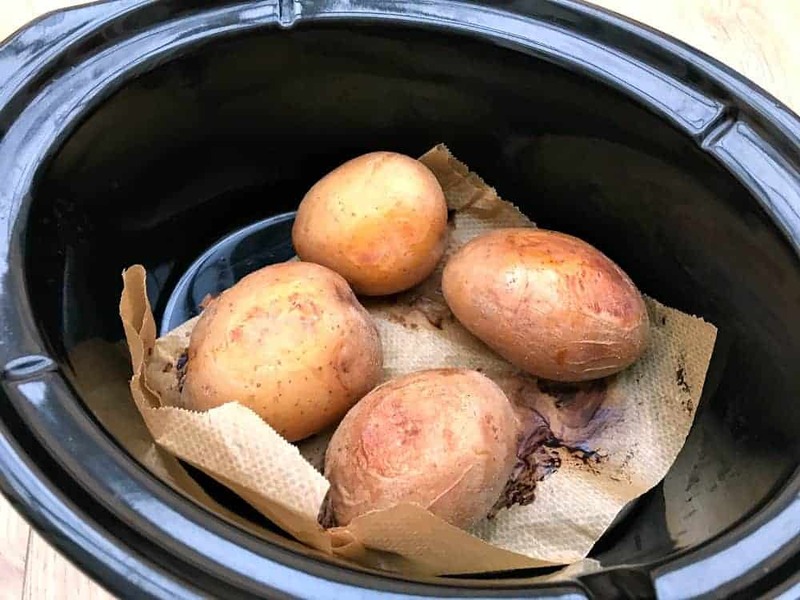 Sharing how I make slow cooker jacket potatoes seems like a good place to start. Some people are often surprised to hear you can bake a potato in the slow cooker! 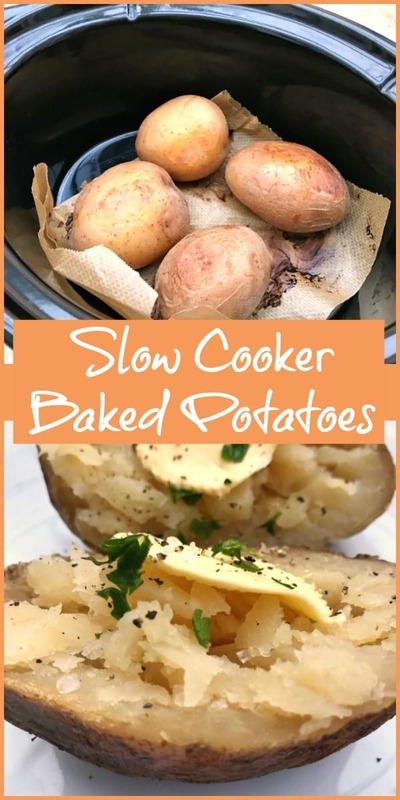 If you have more than one slow cooker, as I know a lot of slow cooker users do since they are such an addictive thing to use, you can bake potatoes in one pot and a slow cooker chilli or casserole in the other. Dinner done in one hit! 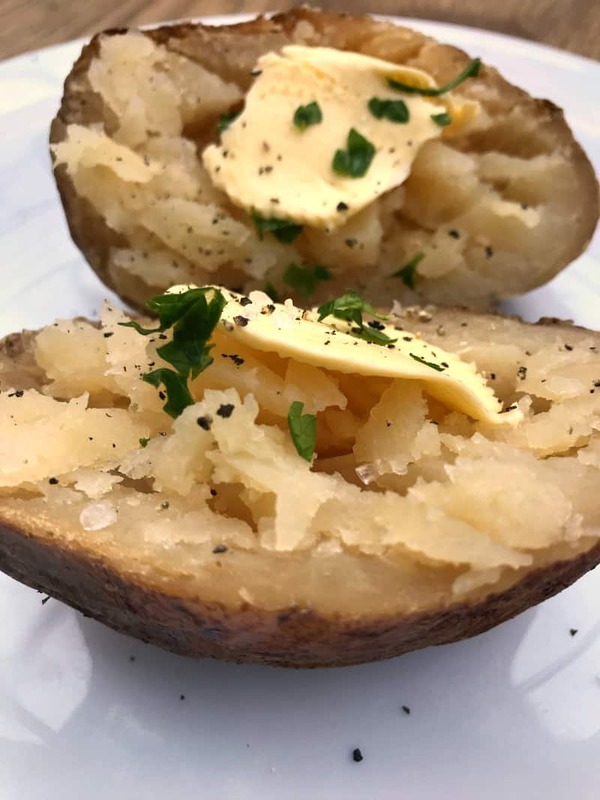 Or jacket potatoes can of course be a meal in themselves with just simple tinned store cupboard ingredients like baked beans, sweetcorn, or tuna. All ideal for a simple midweek dinner. I like to cook a couple more potatoes than I need for the evening meal. Then the extra ones can be a quick lunch for another day. 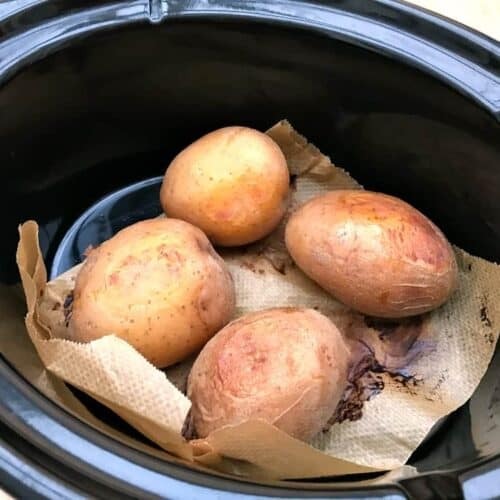 Baking potatoes in the slow cooker is easy and for me the advantage is not having to use the oven which costs so much more to run. Leaving the slow cooker on to cook while I am out at work means I can come home to a meal which is ready to eat too! If you have a hungry young family then that’s ideal! Step 1. Prick the skins of the potatoes, rub with oil and sprinkle with salt if desired (I leave mine au naturel! ), put in the slow cooker on a piece of baking parchment, this prevents sticking. Step 2. Cook on low for 7-8 hours or on high for 5 hours. Optional: If you are home, you can turn the potatoes over occasionally which helps them to brown on all sides. Do I need to wrap the potatoes in foil? No it is not necessary, the contact with the sides of the slow cooker pot will make the skin brown and crisp up as you can see from the photos. Do jacket potatoes do crispy in the slow cooker? Yes the edges of the potatoes go brown and the skin crisps up. If you can turn them over halfway then both sides will be brown. 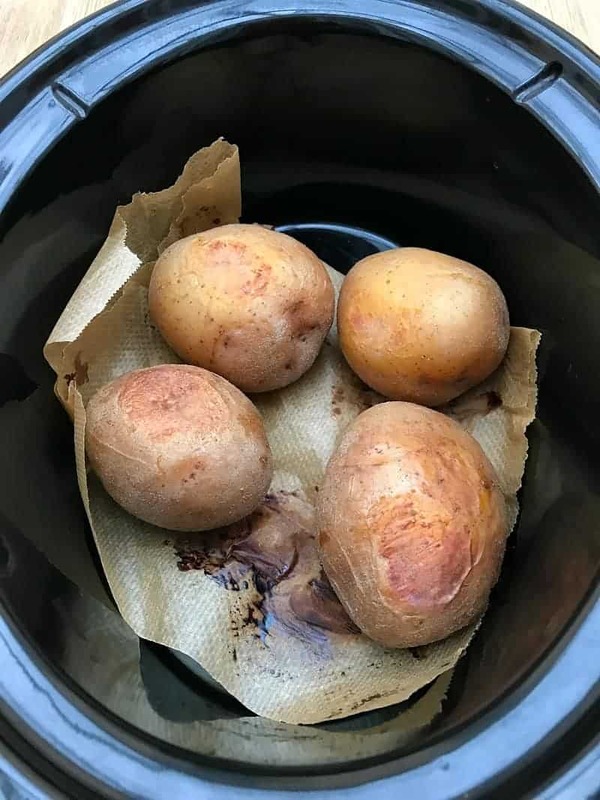 Do baked potatoes turn brown inside if cooked in the slow cooker? They can get a slightly browner inside than if you cooked them in the oven but they still taste great. If the options I’ve listed above aren’t tickling your fancy, Buzzfeed has you covered with 23 amazing ways to fill your baked potato. 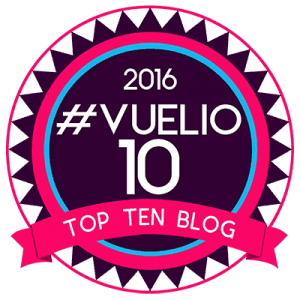 There are loads more slow cooker recipes in my slow cooker archives as well – take a peek! If desired rub the potatoes with oil and sprinkle with salt. Pierce the potatoes a few times with a fork. 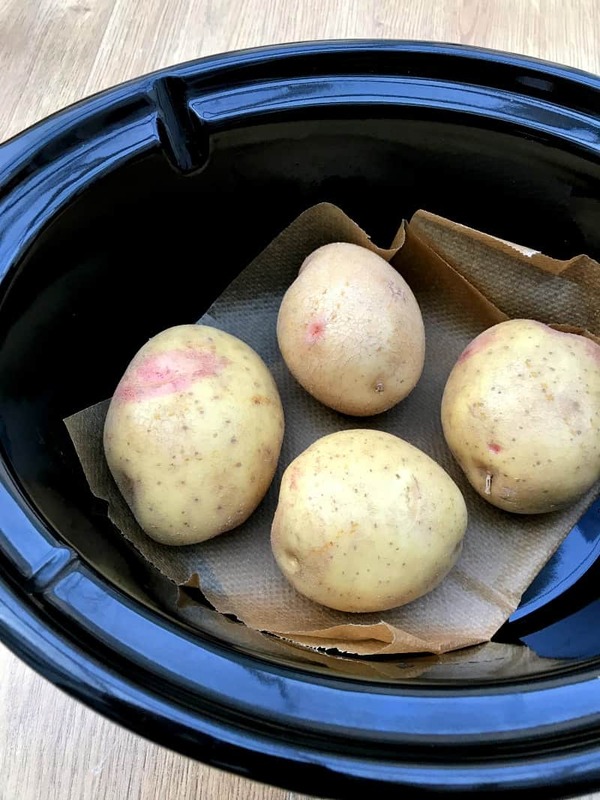 Place the potatoes in the slow cooker on a piece of baking paper (to prevent sticking). Cook on high for 5 hours or on low for 7-8 hours.